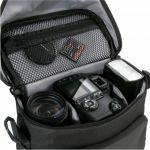 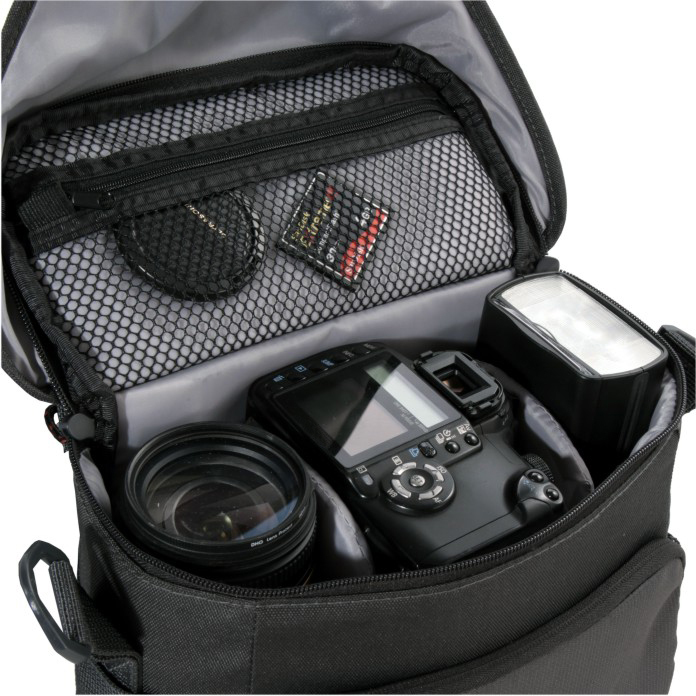 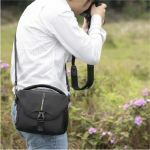 The black BIIN II 21 Shoulder Bag from Vanguard holds a mirrorless camera with an attached lens, an additional lens, and a flash. 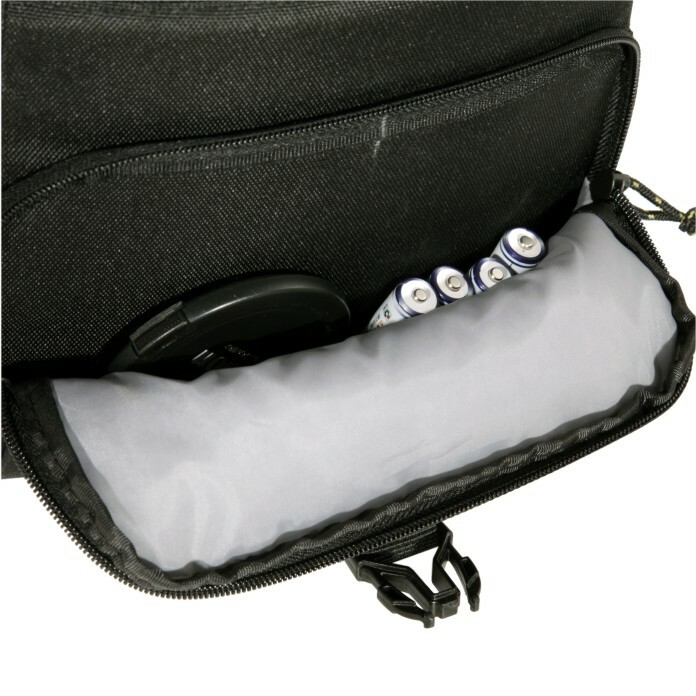 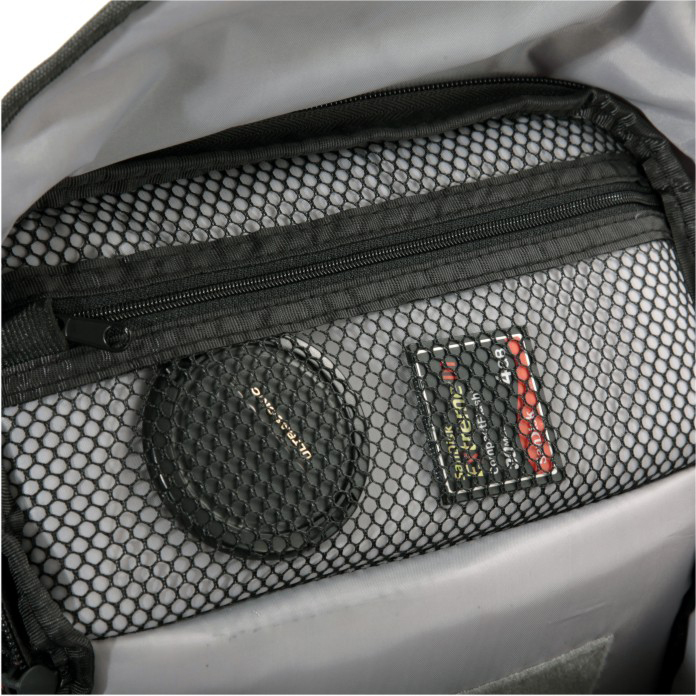 This top-loading case features a zippered lid and a front flap with quick-release buckle. 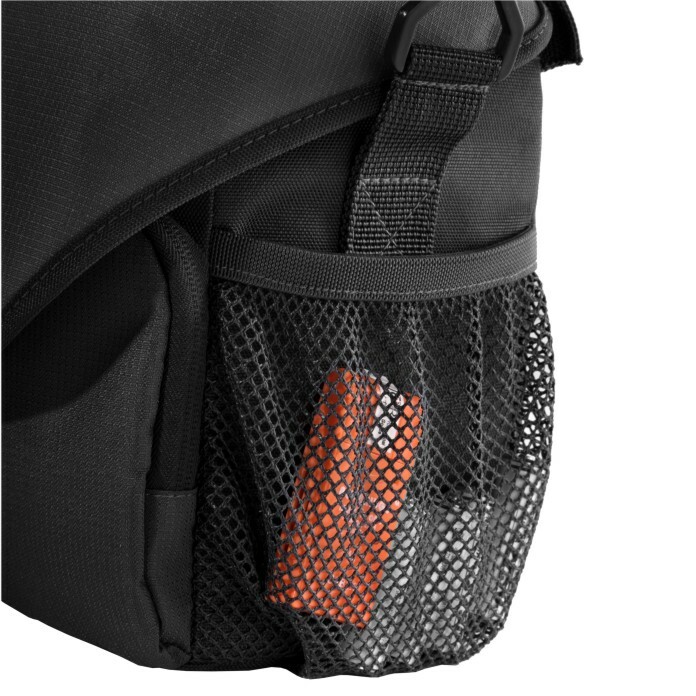 It has a front, zippered pocket and mesh pocket on the side. There's also a zippered mesh pocket under the lid. 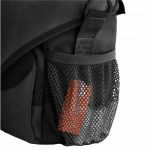 The top carry handle offers a secure grip and the adjustable shoulder strap allows you to wear it alongside or across your body. 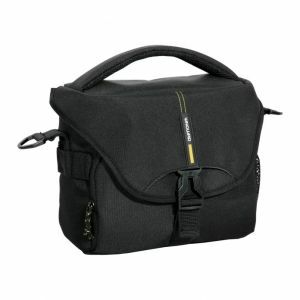 Box Dimensions (LxWxH) 10.2 x 8.7 x 6.0"